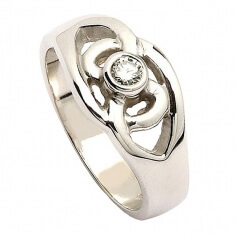 This shimmering ring is certain to grab attention and win compliments. The handsome design features a continuous band of gold that tenderly hugs a .10ct brilliant cut diamond. 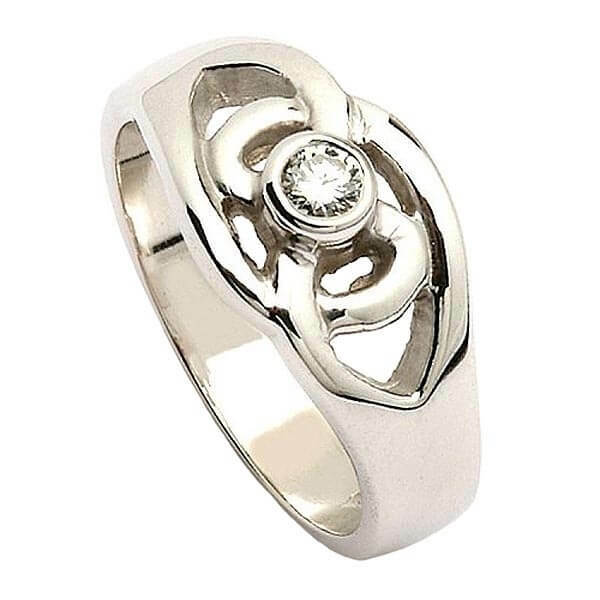 The subtlety of the knot adds Irish tradition to contemporary design. 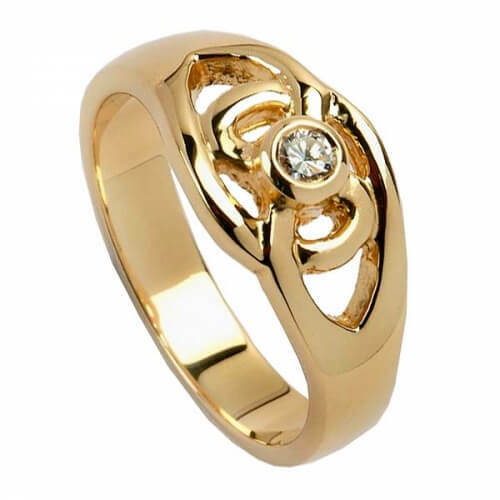 This airy yet substantial ring is crafted in 14k yellow gold or 14k white gold. 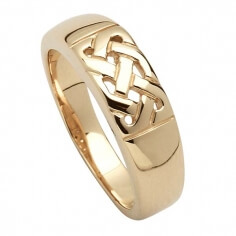 Suitable for a variety of occasions, it would make a wonderful gift for the admirer of all things Celtic in your life.